General question does anyone here have any exp with. I do have their Aldrin in Dark Cognac Cordovan and am happy with my purchase. Solid build quality. The sizing recommendations on their site were quite accurate (for me). The price for "rarer" Horween Shell was very attractive IMO. 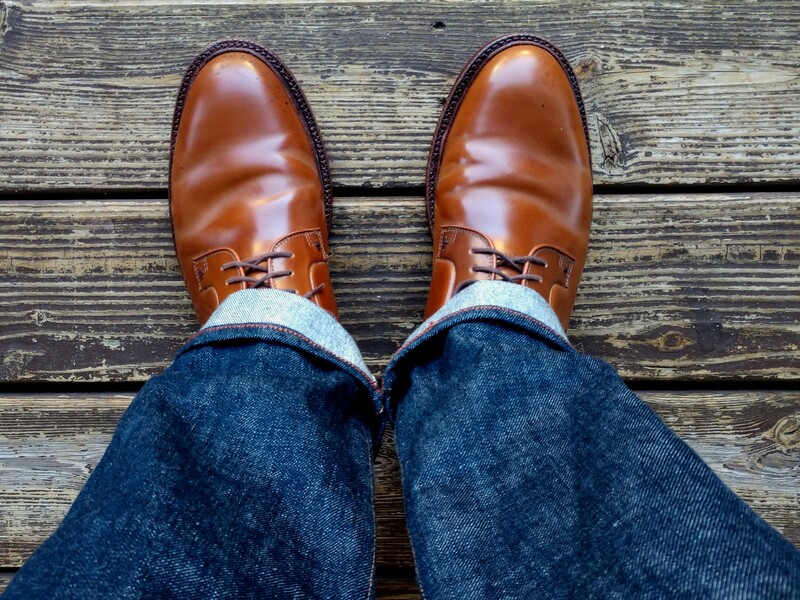 in my experience, these are horween cordovan, and quite nice. OK thank you for the feedback. It is the Aldrin in Dark Cognac I was looking at so good to know you are happy. Whiskey wingtip Wednesday. C&J GMTO Lindrick. Meermin Long wing Whiskey shell. A new addition to the collection arrived today, Löf & Tung Aldrin Dark Cognac Cordovan. I'm going to give a little review since this is a brand not on most of our radars. Just picked up these AE vintage Hinsdale's off the bay, looks like they date back to around 1996. Original soles and heels, typical issue I find with all of AE shoes the heel is seperating. Before anyone says I am not AE bashing, I just looked at my excel and this is the 38th AE shoe I have owned, so I speak from my very own reasonably extensive experience. Somehow I just have not seen this issue with any other brand I own. Anyways back to the shoes, really decent shape given the age just shows what shell is all about. Whoever wore then nicked up the inside rear heels quite a lot looked like either they kicked their feet while walking or sat in a black chair and kicked the shoes to the legs. Managed to get most all the black marks off with sapphire renovator and hit with some #8 cordovan cream to get just a tinge of red to them. They do fit me well not sure if I am keeping or not maybe decide after a few wears.